Several onlookers in Stockton, California said they saw a UFO, sparking a social media frenzy. But new developments cleared up any speculation that the object might have carried alien life. 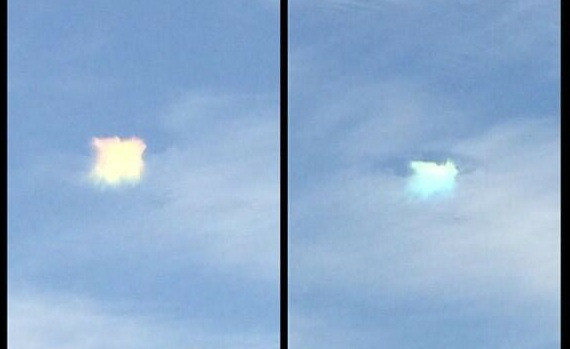 Instead, CBS Sacramento reports, the images, like the ones seen below, likely show a "hole-punch-cloud." As the Weather Channel explains, these types of formations are caused by aircraft passing through certain types of clouds. The Vane further notes that the "UFO's" coloration was likely due to cloud iridescence, a phenomenon in which clouds change color.